After a detailed consultation has taken place, cosmetic grade pigments are implanted into the skin to address subtle corrections, emulate ultra-fine natural hair strokes or reproduce scalp enhancing modifications, all of which can be designed with effortless ease. 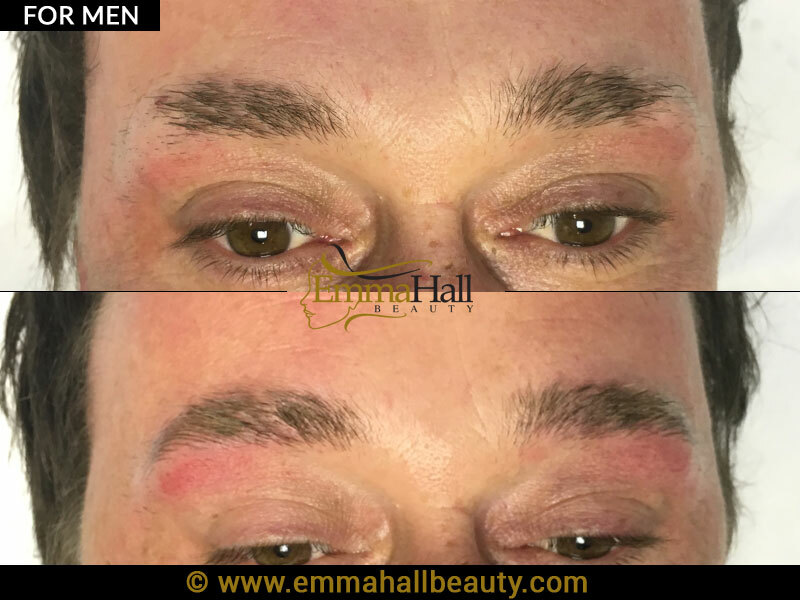 For years male actors and celebrities have used permanent make up as a way to improve their appearance and highlight their iconic statement features, however it’s not until recently that the benefits have been embraced by men of all ages, who are fast becoming increasingly savvy when it comes to both enhancing and maintaining their looks. 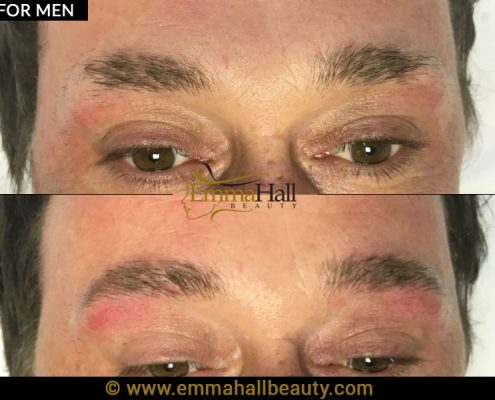 If you would like to explore in more detail a specific tailor made procedure ranging from the popular ‘guy liner’ to life changing hair follicle simulation and scalp pigmentation package, please get in touch to arrange a complimentary consultation today. 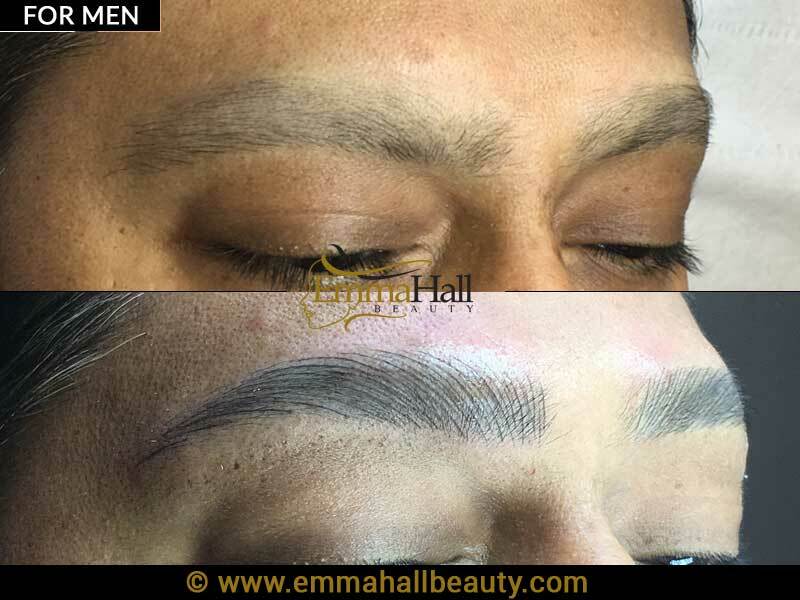 HHaving suffered with Alopecia for several years now which resulted in almost total eyebrow loss i spent an age looking for some kind of solution. 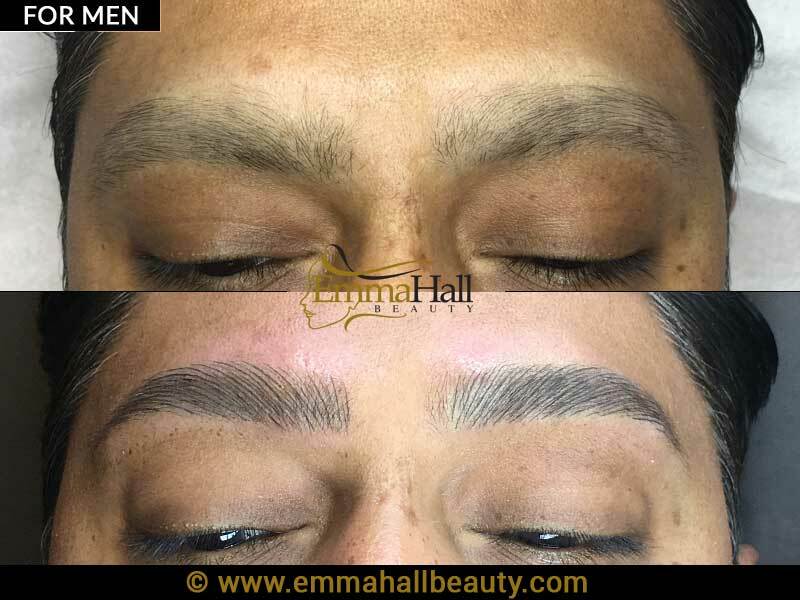 After months of looking at various options it soon became clear that the permanent eyebrow makeup was a front runner but will it look natural? Will it make me look like a poor mans drag queen? Will it look like they’ve always been there and more importantly, can you trust the person to do to the best possible job as it is your face after all and any mistake will be on show for all to see! Thankfully i found Emma and after talking things through with her and seeing some before and after pics i decided to take the plunge and all i can say is wow!!!! Any doubts i had have been blown away by the results. They look fantastic and more importantly, they look natural. So, glad i discovered this woman and her obvious skill for this kind of thing. If i can be happy with what she’s done and i was an hardened skeptic then anyone can be. A proper expert in her field and a true professional. Thanks Emma, you’ve given me back my mojo!!! 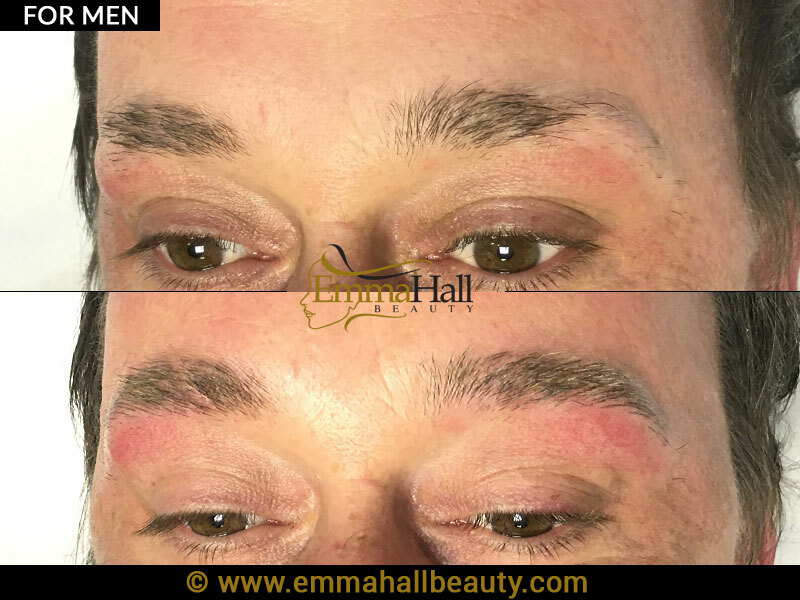 Scalp tattooing also known as ‘Hair Follicle Simulation’ (HFS), offers an exciting new way to disguise baldness, a patch of thinning hair or receding hairline. 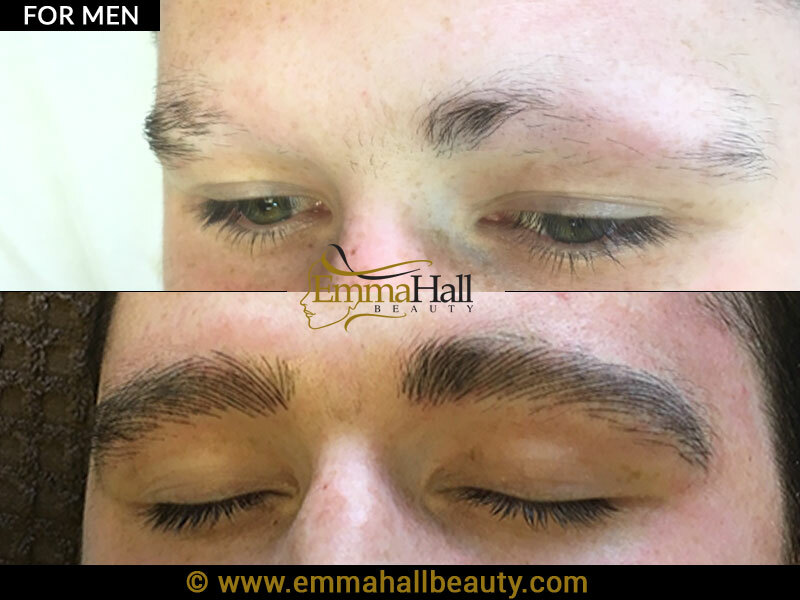 his system uses a micropigmentation roller that applies hundreds of simulated hair follicles to every square centimetre, and uses bespoke designed needles for minimal pain reduction and a faster treatment.